We are pleased to offer SpaDent Flex whitening as our new in-house teeth whitening treatment. 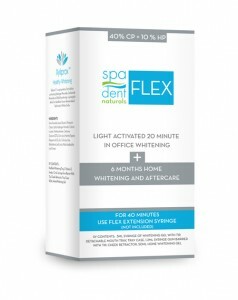 With SpaDent Flex, we can whiten teeth up to twelve shades in under an hour. SpaDent Flex whitening uses natural ingredients, and won’t cause sensitivity. We can combine SpaDent Flex with a hygiene appointment, and complete each step of the treatment in as little as one office visit. Come into our practice with yellowing or dull teeth, and walk out the same day with a brilliant, white, smile. Are your teeth not as white as you would like them to be, or have they become yellowed or discolored over time? If your answer is yes, do not fret because at Pryor Family Dental we offer professional teeth whitening services, including SpaDent In-House Whitening and Opalescence Go products, that can help you have the beautiful, white smile that you desire. There are a lot of reasons why teeth can become discolored or yellowed. Fluorosis | Fluoride is a great tool in helping prevent tooth decay, however, if your teeth were overexposed to fluoride while they were still developing, it can cause them to become unnecessarily stained. Using professional teeth whitening, your smile can be whiter and brighter. Stains from food or drink | Certain foods and drinks can gradually stain your teeth over time. In particular, wine, coffee, soda, juices and tea can stain your teeth with their usage. Professional teeth whitening can help combat the negative staining effects of food and drink. Stains from tobacco usage | If you use tobacco, it can make your teeth become stained the longer you use it. Having your teeth professionally whitening can help erase the staining caused by tobacco. Stains resulting from certain medications | Some medications can have an effect on the coloration of your teeth, and can even cause your teeth to become discolored or yellowed. Teeth whitening can help restore the beauty of your teeth. If you want to have a brighter, whiter smile we want to help you achieve this great smile goal. Our team can help you professionally whiten your teeth using the Opalescence top quality treatments that are effective and safe, from the comfort of our relaxing and beautiful office or take home trays to use in the comfort of your own home. 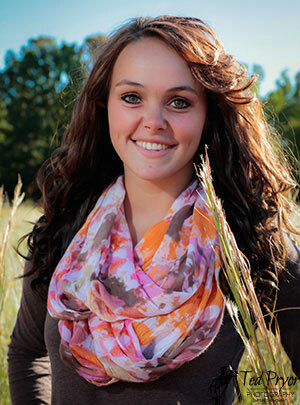 You deserve to have a beautiful smile, and with professional teeth whitening you can have one. Have any questions about teeth whitening, or how teeth whitening with us can brighten your smile and combat discoloration? Give us a call today!